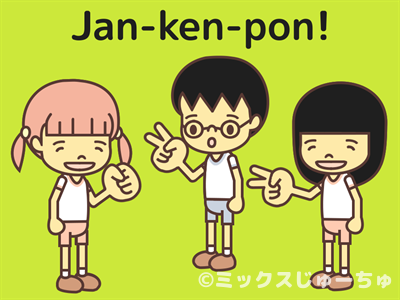 The “Janken” is a kind of game which decides a winner. We can play it with several people in one time. It is so simple, so we do it often. 1. We use our hand and make three kinds of shape. Stone (bend all fingers), paper (spread all fingers) and scissors (extend index and middle fingers and bend the others). 2. 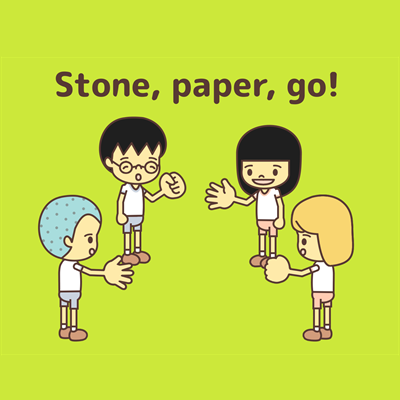 The paper can wrap a stone, so the paper wins to the stone. 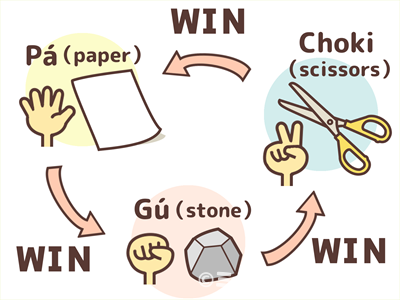 The stone is hard and scissors cannot cut them, so the stone wins to the scissors. 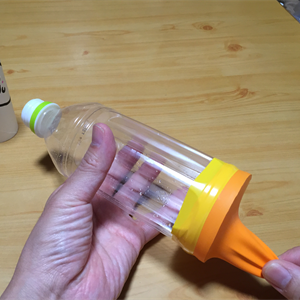 The scissors can cut the paper, so the scissors wins to the paper. 3. 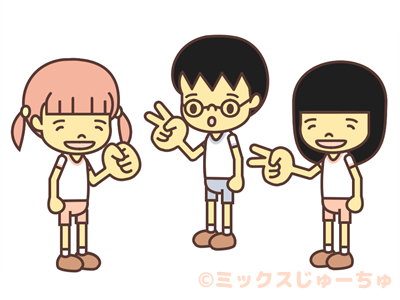 We call “Stone, paper, scissors, one, two, three!” all together and make one of those shapes when “three!”. And, the winner will be decided. 4. 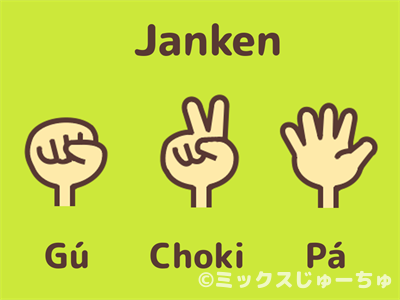 When everybody makes the same sign or when there is at least one of all three signs shown, it is called “Aiko” or a draw and everyone tries again until someone wins.